Producer & Celebrity Manager Santosh Gupta of Pinnacle Celebrity Management, teams up with Ali Merchant and Sakshi Jhala to launch a company Milagro that will be managing various pubs and lounges across the city. In a first, the company started managing Kube Lounge in Andheri West, where they organized a screening of FIFA Finale. The nail-biting telecast of the match between France and Croatia had everyone at the edge of their seats. With something for every football fan, the venue witnessed a huge turnout due to the football fever that has gripped the entire world. 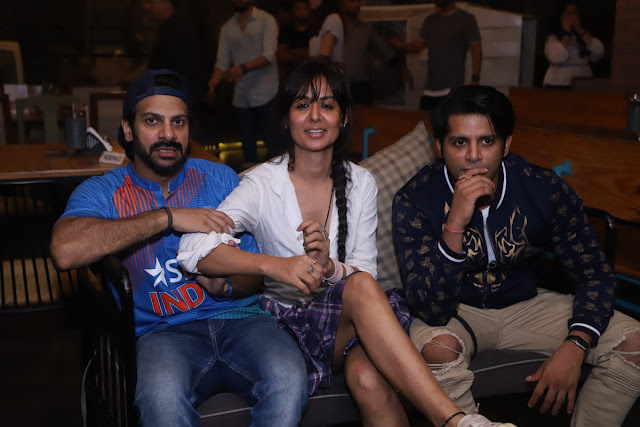 Celebrities present for the live screening were Actor Karanvir Bohra, Aanchal Khurana, Vaishali Takkar, Gaurav Bajaj, Shafaq Naaz, Producer and Celebrity Manager Santosh Gupta, Dheeraj Dhooper and Karan Veer Mehra. The edge of the seat tournament between France & Croatia kept everyone glued to the screen. Supporting your favorite team is a moment like no other. 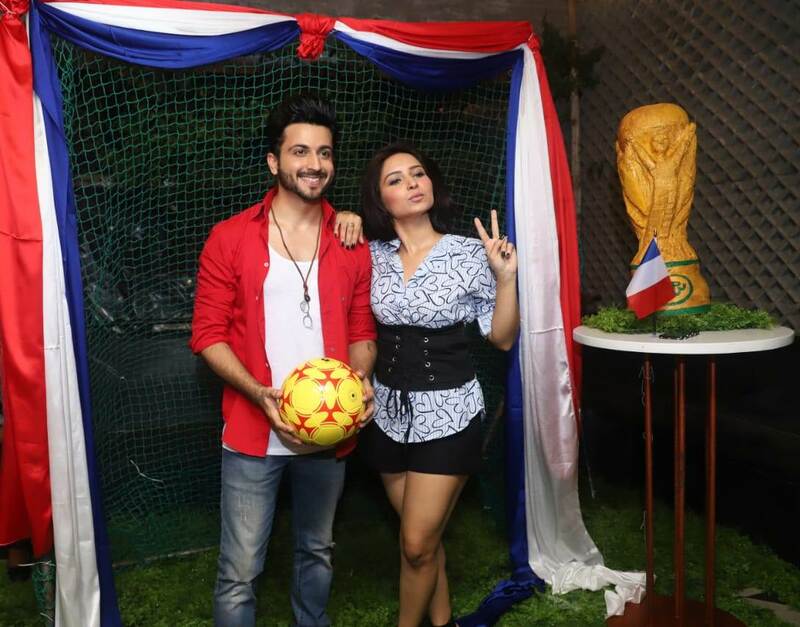 Football time is fun with friends, food, and drinks and a huge number of football fans were spotted at Kube Lounge enjoying the live screening of FIFA World Cup 2018 Finale. Celebrity manager & producer Santosh Gupta said, "I was very excited for the match and the ambiance here during the match was phenomenal. Kube had set up a goal post and the patrons were busy kicking the footballs in the goal post. There was heightened curiosity before the match that who will win and during the match, everybody present here was cheering their favorite team which added a certain level of excitement." Shafaq Naaz, said, "I am very happy and my excitement level is very high it was a great match and the organizers at Kube lounge arranged everything in the best manner. I enjoyed a lot." 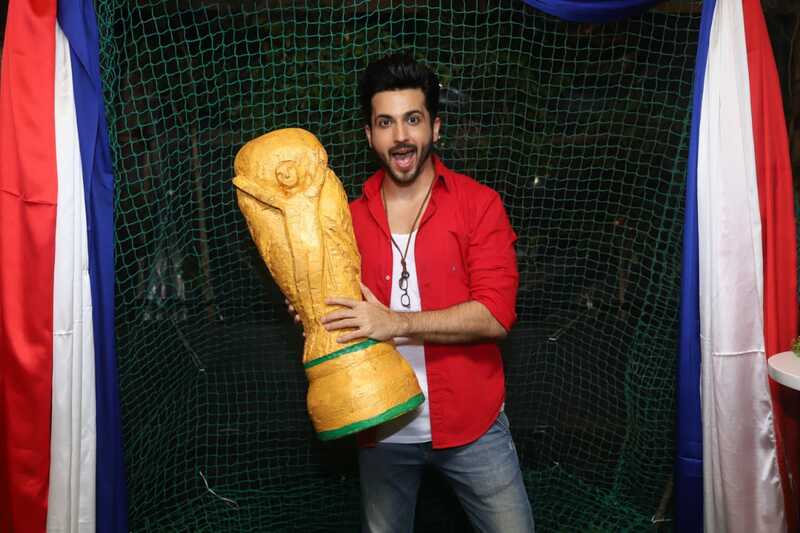 Aanchal Khurana exclaimed, "I enjoyed a lot and the time which I spent while watching the match was amazing. I am delighted" Karan Veer Mehra added, "The match was good. Both the teams played well and I am happy that my favorite team won the World Cup.